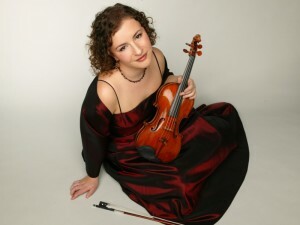 Yulia Ziskel has established herself as a highly acclaimed solo, chamber, and orchestral musician. A member of the New York Philharmonic’s First Violin section ( Friends and Patrons Chair), her activities include numerous international solo and chamber music appearances. She has also appeared on numerous radio programs, including “The Listening Room”, hosted by Robert Sherman, on WQXR. Yulia Ziskel’s awards include First Prize in the “Assembly of Arts” International Violin Competition, the prestigious“ New Names” award from Russia, and the Anna Bernstein Memorial Award. Before her appointment to the New York Philharmonic in 2001, Ms. Ziskel was a member of the New Jersey Symphony Orchestra. Born in St. Petersburg, Russia, Yulia Ziskel began her musical training on the violin and piano at age 4. She made her solo debut at the age of 7 at the St. Petersburg Philharmonic Hall and at age 12 as a soloist with St. Petersburg Chamber Orchestra. During her teenage years she has toured extensively, appearing in solo recitals throughout Russia, Germany, Finland, Poland and United States. In 1994, Ms. Ziskel’s family immigrated to the United States, where she completed her Bachelor of Music degree at Indiana University and her Master’s Degree from the Juilliard School. Ms. Ziskel’s teachers include Glenn Dicterow, Yoko Takebe, Nelli Shkolnikiva, Lev Ivashenko and Eugenia Poustireva. Yulia Ziskel’s debut solo CD on the Sonoris label includes works by Wieniawski, Tchaikovsky, Ysaye, Brahms, and Paganini. The disc is available on YuliaZiskel.com and features works for solo violin and collaborations with renowned pianist Tatiana Goncharova. Miss Ziskel also has a CD of Chamber Music released on Naxos Label.